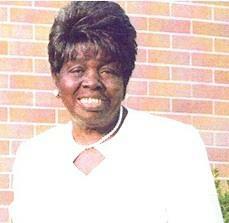 My aunt has transitioned from her earthly vessel to reside in the presence of the Lord. She was the last monarch of the Shipman Sisters. I pray that Patricia and Leslye are strengthen during this difficult time. Your family chain is broken, and nothing seems the same, but as God calls us one by one, the chain will link again. May God continue to bless the family during this time as your loved one received her angel wings. To the Family of Mrs. Evelyn Sanders: Precious memories of one so dear. May God be with you! Rest in Heaven, Evelyn. God loved you best.